Don't' forget to check out your monthly horoscopes to find out what's in store for you every month! and now Back Room members can find extended monthly intuitive Tarot readings each month for their sign. Become a Back Room member to gain access. Be sure to check out both your Sun and Ascendant for both horoscopes and Tarot for the most accurate picture. Venus Retrograde, Jupiter's move into Sagittarius, Mercury Retrograde special forecast for all Signs. The Sun symbolizes your basic personality. The Zodiac sign it occupies describes your character's essential qualities. 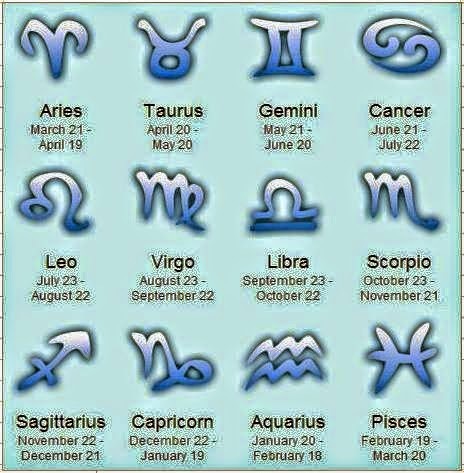 This sign ( Your Zodiac sign) is also usually the easiest to find. It's what you mean when you tell someone "I'm a Cancer" or Capricorn, Aquarius or whatever you known sign is. If you don't know yours check below and match your birthday to the sign. The Sun, by sign and house position, describes your ego's central traits. To an astrologer, your Sun sign describes your core personality. Many say it's the most important sign you have, but that's not entirely true. The Moon and Ascendant signs are just as important -- but they can't be accurately determined without an accurate birthday, place, and time, why many are unaware of them. *If you do not know the time of birth, I have a questionnaire by request, in which is very successful in often locating your birth-time and Ascendant. You can contact me if interested. Please email me if this is the case at Illumeastrology@gmail.com. The Sun changes signs approximately once a month. The Moon changes signs every 2 1/2 days. And the Ascendant sign changes every 2 hours. However, having one's Sun sign information is "better than nothing, and can be helpful" but it's also seriously incomplete and quite general. Sun sign forecasts can define what's happening for you on a conscious level and to your self-image but that's not all there is much more to the Sun sign which we will get into further later on. What about the Moon, What does it represent in Astrology? In astrology, the Moon symbolizes your inner self, the part of you that responds from habit, feelings, and instinct. It's your security, it's ruled by the sign Cancer, which rules the 4th house of home. So family and your inner private needs are represented by the Moon. In forecasting, it's your Mother or the women in your life but for you, it is how your respond emotionally, your inner being. If you are a sensitive or emotional person, you may recognize your Moon sign qualities more readily than your Sun sign. These traits are "who you are inside" ... an intimate side of your character only you and those close to you really know. In fact, your Moon sign may be very different from -- or even in conflict with your Sun sign traits. (another reason why trying to understand people by their Sun sign alone is not enough. Forecasts based on your Moon sign reveal what's happening in your private life, your inner world, with your family situation and living conditions ..environment could affect your security, foundations, and feelings and overall you. Because they target your experiences literally "where you live" you are apt to relate to interpretations of your Moon sign just as much or much more directly than those based on your Sun sign alone. That's why a combination of your Sun Sign, Moon Sign, and your Ascendant would be an overall depiction of your personality combined. However, this is just a "prick of the pear" and not remotely close to the entire picture. There are then aspects to these planets that alter the sign and planet, but that's too far ahead so let's get to the Ascendant first. Your Ascendant sign is also called your "Rising Sign." The two terms are interchangeable. It is literally the sign that was rising on the Eastern horizon of the sky in the place and at the moment (time) of your birth. Because the Ascendant sign changes every two hours all day long, Yours obviously depends on the exact time you were born. Only if you were born near sunrise will your Ascendant sign possibly be the same as your Sun sign ... and it is completely independent of your Moon sign. Yet this third component in your horoscope gives information about how you appear to other people ... and how you take on the world. Your Ascendant describes your temperament, it's the lens you view the world through that forms your perception as well as your overall outward personality. Similar to the 10th house(Public, Career) it's also how others would describe your personality. It's the personality you put "on public display." It's the side of your character you allow the outside world to see, your interview face. People that are very close to you will get to know your Sun sign, the inner you. If you look up descriptions on your Ascendant sign, you will see you will relate to it quite a bit, because it is truly more than a mask, it's the real you but not the intimate you. Different birth times, on the same day, explain why they can have very different personalities, different strengths and interests, and different life experiences. Forecasts based on your Ascendant will be the most descriptive and accurate regarding your life circumstances and immediate future based on transits to your houses in your natal chart. You will relate to such information very readily ... which makes your Ascendant sign information even more crucial than that based on just your Sun sign. The three components of your character will provide three different views of you and your life ... all of them valid. And here's another tip: If you know your Moon sign and Ascendant ... and read astrology information for all three you'll see many different sides to your personality and even deeper parts of your life and your journey. 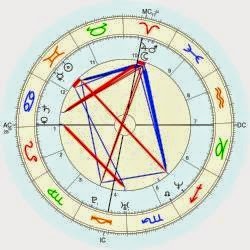 In short...below is the natal chart of Angelina Jolie. If you used to www.astro.com instead of the chart generator above then this is what it should look like different planets within the circular Zodiac wheel a different sign in the 12 different houses. You should have yours handy for reference. To continue this course it is part of Beginner Astrology course and much more, please see my Astrology classes.